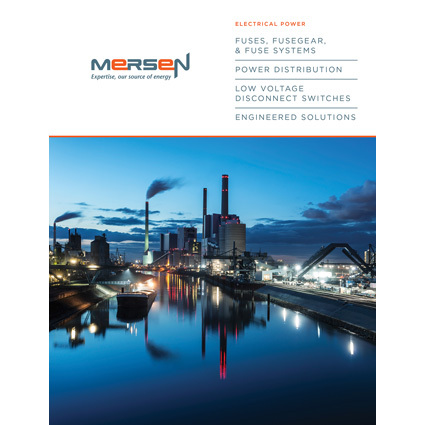 We are delighted to introduce the new Mersen Electrical Power catalog! This new 340-page catalog includes updated product information and brand new photography. The eye-catching design presents a wealth of product information in an easy-to-read format. Simple, straightforward charts display data clearly and concisely. We’ve also included an overview of Mersen Electrical Power that showcases the five global product lines under Electrical Protection & Control as well as the three global product lines in Solutions for Power Management. In addition, the “Focus Products” section details the right Mersen products for the Industrial, Buildings/ Construction, Solar, and Electric Vehicles markets.